Creating Windows Store application and need to integrate SQL Server Reporting Services? 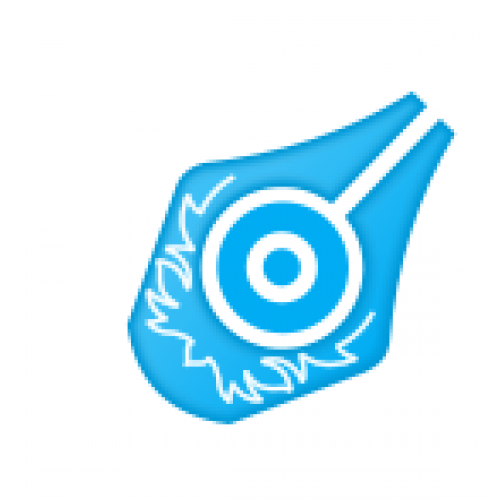 Have hundreds of generated reports and switching to another reporting tool is not an option? 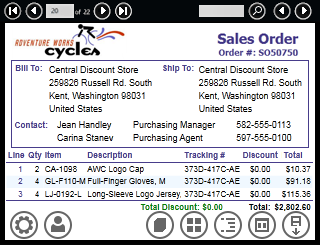 There is a seamless solution that will immediately cure these issues - WinRT Viewer for Reporting Services, which is a native WinRT component able to view and work with SSRS reports under Windows 8. 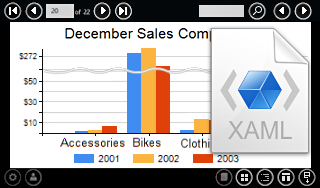 Reports are got in native XAML format with the help of Custom Rendering Extension that is installed on SSRS. 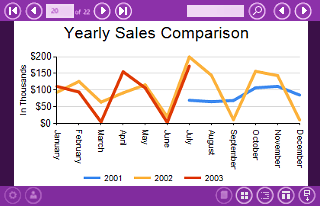 It is possible to work with the reports as with a part of application: view in WinRT apps, combine objects, zoom in and out without loss of quality, etc. 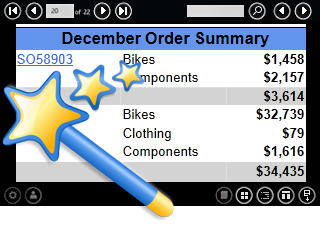 Users can view reports as a set of thumbnails (grid) or as a full screen document (flip). 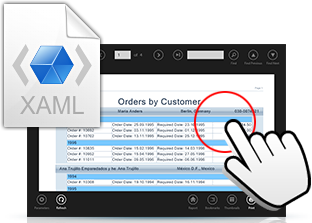 This feature completely addresses Metro-style interface requirements. 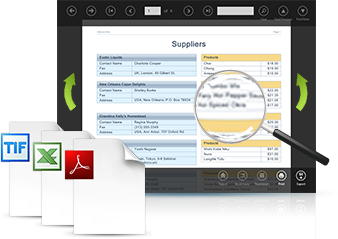 PDF, Excel, Word, CSV, TIFF, XML and other export filters are available. Users can select whether to save the report to a file or use Windows 8 Share-contract for work with the report in other applications. 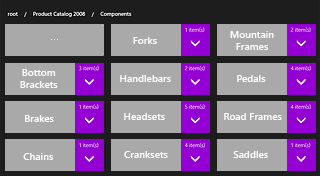 WinRT report viewer has its own menu enabled by default. 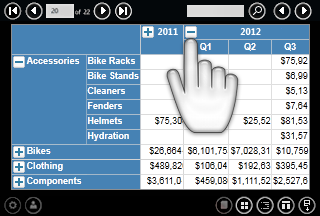 Nevertheless it is possible to disable this menu and move menu buttons to AppBar page, since it complies with the main Windows 8 principle of focusing on the content – “content first”. 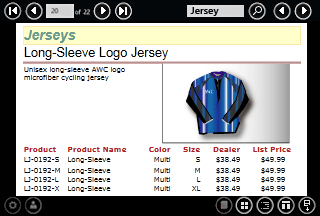 Styles and skins allow developers to change design of any control elements. A user has access to hierarchical bookmarks list when navigating through the report. Every list item can bring users to the necessary page or open a list of nested bookmarks. Only 3 XAML code lines and 4 lines of code in Code Behind – and the component is added! 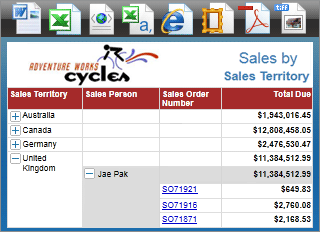 Intermediate WCF service is still necessary to store and cash data and to interact with SSRS. However, next product version will get rid of this intermediate service and all manipulations with data will be performed on the client side. 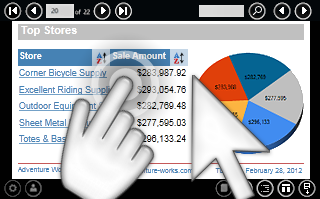 Full-text search and result highlighting is available in the reports. It’s possible to use Reporting Services features in WinRT Viewer and expand some report part to view details. Besides, a user is able to navigate between the reports via hyperlinks and open specified URL in the browser. 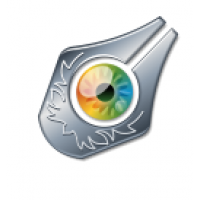 WPF Viewer for Reporting Services is a native WPF component offering the ability to view reports gen..